PreCure, also known as Pretty Cure, is a super popular Japanese anime series with magical girls who fight evil forces! 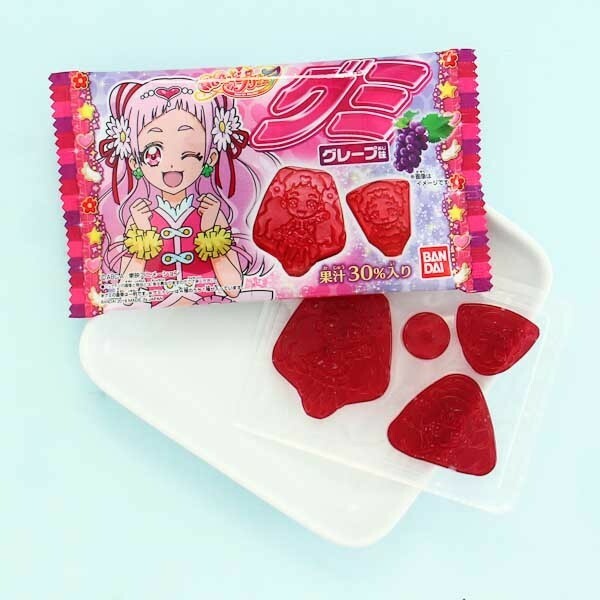 Now you can have some of their magic as delicious candies shaped liked the powerful girls! The gummy candies are super soft, easy to chew and taste like yummy grapes. 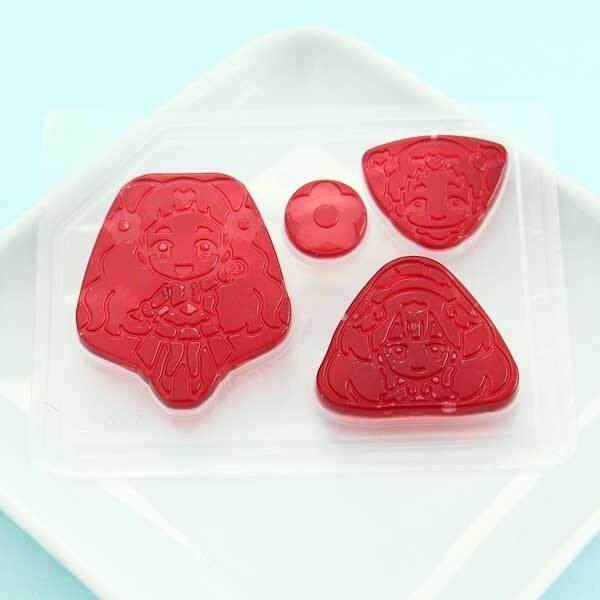 The package has 4 cute candies sealed in a plastic mold which helps these delicacies to last longer and stay in shape! Share the fun and enjoy the treats with your friends and family! Pretty Cure!